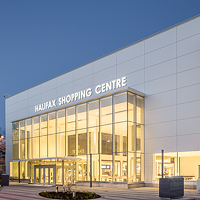 With over 160 stores and services, from Winners and Forever 21 to Old Navy and the only Hudson’s Bay in Halifax, Mic Mac Mall is hundreds of thousands of square feet of everything you’d ever need. There’s cell phone stores, chocolate stores, furniture-and- kitchen-ware stores, candle stores, you name it. The mall’s history in the last 30 years is just as varied as its retailers (RIP Zellers and Target; long live Toys “R” Us). We’ll never forget Woody the Talking Christmas Tree or the mob riot caused by Full House’s Candace Cameron in 1992.